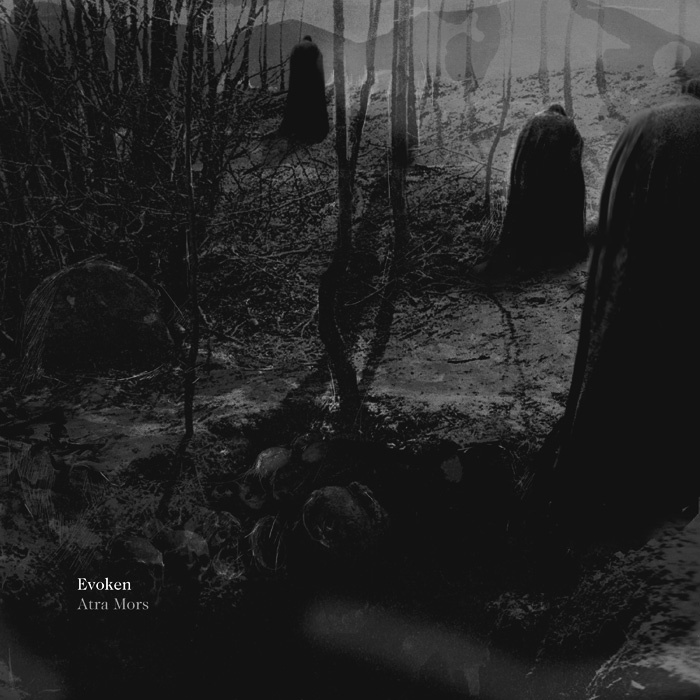 When I originally came across Evoken's crushing 2005 record "Antithesis of Light" my world was grinded in a matter of minutes. Perhaps it was one of the most important music-related moments of my life. The New Jersey-based funeral doom metal quintet have since released the masterpiece "A Caress of the Void" in 2007 and the latest pummeling opus "Atra Mors", which came out in July 2012 on Profound Lore. 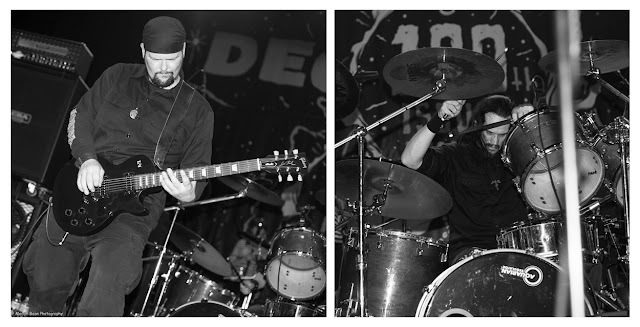 The band went through some line-up changes and at the moment guitarist/vocalist John Paradiso and drummer Vince Verkay are the only original members of the band that was formed twenty years ago. Nevertheless, Evoken are in their prime with the success of their fifth full-length and finally some more exposure from the media. Vince Verkay spoke to We Wither to tell us where the band is at the beginning of 2013. There are three new members in the band since the release of the previous record "A Caress of the Void". Did that affect the writing process for "Atra Mors"? Absolutely. Every album we have written, all members had some input into the writing, but this album was truly an effort on everyone’s part. We all have similar influences and enjoyment of various forms of music, but each member also has their own unique interests. With that being the case, it definitely gave this album the upper hand. Does writing 10 minute-long songs take longer than shorter tracks? Do you tend to improvise a lot in the studio or is it all riffs prepared before and put in order? Naturally, a 10 minute plus song will take longer to write than a 3 to 4 minute song, but we never compromise. So even our shorter tracks or the various instrumentals we have written over the years have taken some time to write. We always make sure we are 100% satisfied with every riff, every song before we decide any song is completed. We do improvise in the studio as well. Before we even book the studio time, we prepare and rehearse each song as much as often as we can. We make sure that the foundation for each song is built. The reality is, we really do not have the luxury of going into the studio with half-baked material. We have to make absolutely sure each song is completed with regards to the writing. Since we don’t have the advantage of having our own studio, we have to book and pay studio costs via the record label, thus we are limited to a budget. At the same time, we don’t allow ourselves to be painted into a corner, sticking only to what we have planned for each song. Once we have the songs themselves recorded, it’s when we begin the mixing process where there is a fair amount of improvisation. We also record additional pieces of music that someone in the band may have written after the fact, which we can attempt to incorporate into the album. It can also be something as innocent as coming across a mistake. What I mean is, we could be mixing a song, hearing it without a certain instrument being brought up in the mix, only to discover that leaving out a guitar section at one point, only to bring the guitar in maybe halfway through one measure creates more of an impact in atmosphere. Or simply recorded a heavy door being closed, hearing it before the song starts, only to wind up using it in a song, things of that nature. Those are just two small examples of how things change once we start recording a new album. 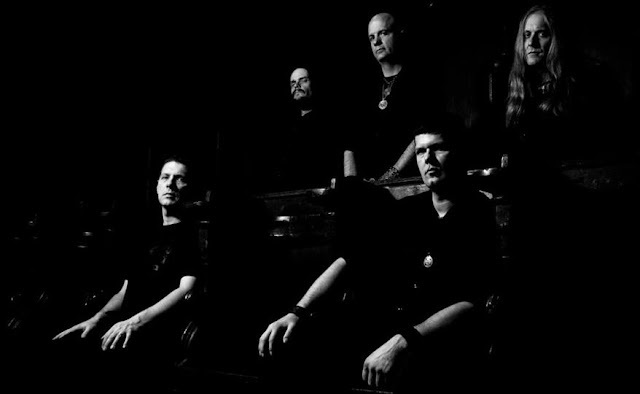 Extreme doom metal seems to be in its prime at the moment, with such strong records as "Atra Mors" or Mournful Congregation's "The Book of Kings", Esoteric's "Paragon of Dissonance" and Mourning Beloveth's "Formless". Would you agree with that? Do you feel there is a bigger demand for such music than, for example, ten years ago? I agree 100%. The genre has gone through so many changes in the last decade. I think it’s definitely beneficial that this genre experienced these changes at a methodical pace, no surprise there. It’s not a genre that simply exploded overnight. 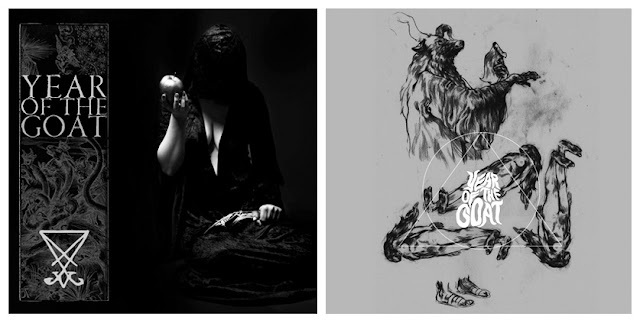 The bands that blazed a new path for the genre, handing things off to newer bands that took those various elements and adding their own touch. With each change came with it more fans and each subsequent change attracted even more fans. The demand has also definitely increased. A decade ago, we never would have attracted the attention “Atra Mors” has to this point. I don’t believe any of us would have experienced playing in larger venues or stages, or witnessed the increase in attendance at our shows ten years ago. For Evoken, ten years ago we would see maybe 20-30 people attending our shows, and that would be on a good night. Now, we’re seeing what we thought impossible, to sell a show out. I also think it’s reflective of the times we live in. Movies, music, books are all a product of the period they exist in. There is no short supply of depression [in] this day and age. With the extremes of our climate, the failing economy, the increase in wars and illness, be it consciously or subconsciously, people gravitate toward the music that represents that period of time. Did you notice more attention being paid to your records in the last couple of years? 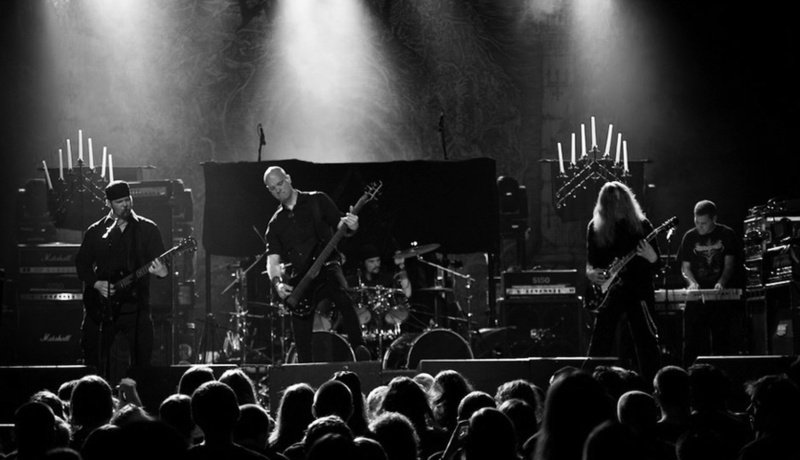 Did the wider metal public finally learn to appreciate extreme doom metal? We definitely have seen more attention swing our way the last few years, the last couple of albums. I really can’t say there’s any one reason why metal fans are more aware of the genre. I believe every band in doom has been consistent in dedication and passion toward this music. I think it ranges from the internet giving us a boost, allowing the music to reach a far wider audience to people growing tired of listening to the increase in bands playing more technical or playing at one extremely fast pace. I believe if you asked ten people that same question, you will probably get seven different answers. 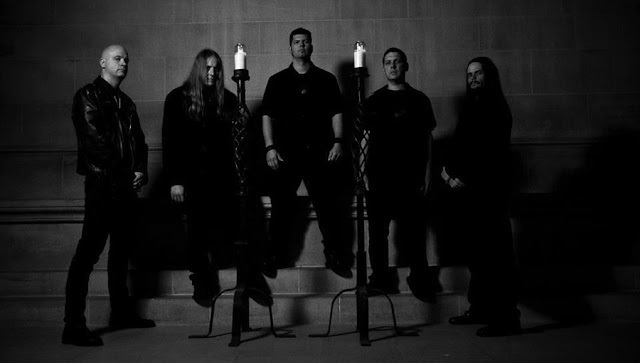 In January 2013 Evoken participated in the Decibel Magazine 100th issue show in Philadelphia with Pig Destroyer, Converge, Tombs, Repulsion and Municipal Waste. How did it go? Do you feel comfortable on a bill with much different bands to Evoken? It went fantastic. Everyone treated us with extreme generosity, all the bands tried to help each other out with equipment use, and every band was very friendly. The turnout and reception we received was incredible. We were blown away by the reception we received. We feel very comfortable playing with bands that are at opposite ends of the spectrum from us. I think it allows us to really stick out, it gives us the opportunity to play in front of an audience that, more than likely, would never have attended an Evoken show. It’s something that allows us the platform to gain new fans as well. Don’t get me wrong, we absolutely enjoy playing with other doom bands or festivals, but after a while you can wind-up getting lost in the pack, I think at times you can lose that impact depending on where you’re playing. So, we welcome the notion of playing on line-ups very different from us. You recorded Paradise Lost's "Rotting Misery" for the Decibel Magazine vinyl series. Was it recorded at the same time as "Atra Mors" or did you do it later because of the offer from Decibel? We recorded it around the same time. 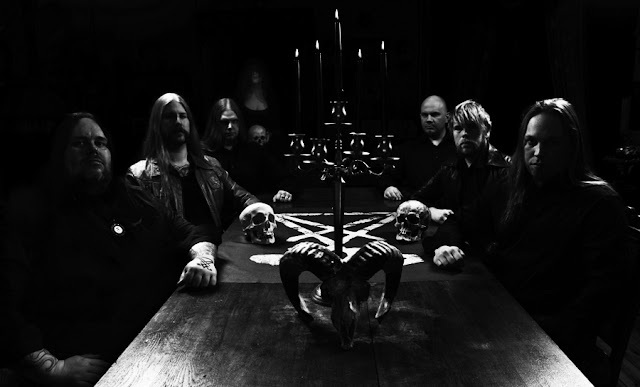 The offer to record “Rotting Misery” came a few months prior to entering the studio to record “Atra Mors”. We are so appreciative not only for everything Decibel has done for us, but to also get the opportunity to record a legendary track, from a legendary band, and include that cover as a part of Decibel’s monumental 100th edition. 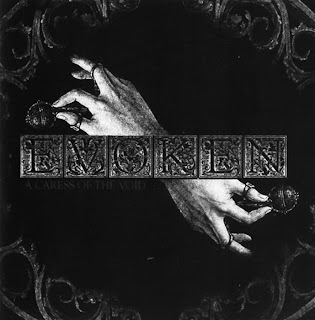 Evoken doesn't tour that much and quite sporadically visit Europe, so how did your lives look between the release of "A Caress of the Void" in 2007 and recording the new album? Well, we are always trying to improve our live sound, attempting to come as close to the sound of the album, only heavier. We’re also trying to improve on any visuals on stage as well to increase our live atmosphere, so things are changing, albeit slowly, but we have so many ideas, some realistic, some not that we are looking to bring into our live environment. Do you ever shorten your songs when performing live to be able to present more tracks? No, not really. I think there has been two events where we altered our songs to fit more material into the allotted time. Though there are some extreme doom metal bands all over the world, the States, England, Australia, Russia and Scandinavia, it remains one of metal's smallest sub-genres. And actually only a few, Evoken amongst them, do it on the top level. Do you take pride in being one of the few? We take intense pride in being recognized by fans and bands all over the world, it’s something we will never take for granted. 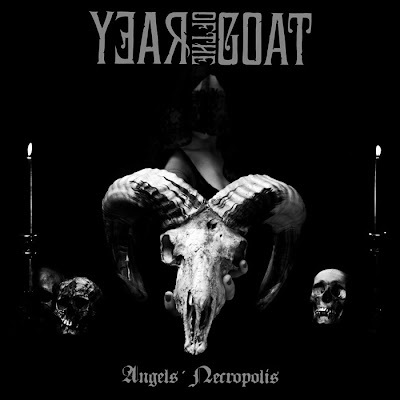 Could you point out the records or specific songs that in your opinion influenced or created extreme doom metal? That’s really, for me, such a difficult question to provide a solid answer on. I couldn’t really present certain songs as absolute representation since there is a mish-mash of different elements in various songs that I believe influenced us anyway. I would have to point out Thergothon "Stream from the Heavens", Disembowelment "Transcendence into the Peripheral", Winter "Into Darkness", in a non-direct way Type O Negative "Slow, Deep and Hard" and Autopsy "Mental Funeral". Are Evoken lyrics metaphors and simply the fruit of your imagination or do they refer to your own emotions or experiences? Could you choose one song from "Atra Mors" and describe what affected those exact words? They are a bit of both, really. I cannot speak for the others, but my lyrics tend to be more metaphoric than reality or true life experiences. I tend to avoid interfering with the listener’s take on any of my lyrics with the definition of various lyrics I write. I like for the listener to create their own world, their own interpretation of the lyrics. If anything, I would say the lyrics for “Atra Mors” are more direct in creating a setting or story than past lyrics. So, I’m going to remain consistent in my thinking when it comes to the lyrics and keep silent on any meaning or what affected the writing behind any lyrics. To be honest, I am more interested in hearing a listener describe the setting they experience when reading any particular song’s lyrics. No other metal sub-genre than extreme doom produces such an overwhelming and hypnotic atmosphere where listener travels between worlds and time. Is playing Evoken songs such a deep and moving experience as well? Without one single doubt they are, as I am sure the others would answer the same. That’s what drives us, what keeps us attempting to create songs just as intense in experience for each of us as prior songs. When we play these songs, it doesn’t matter if it’s live or in rehearsals or just writing them, there is a surge of emotion that flows within me. It’s the hair standing up on my arms, or back of my neck, the intense anger or hatred toward humanity I feel that brings my breathing to a deep and slow pace guiding me to play harder behind the kit. I equal it to an intense high I am chasing every time we play. There is nothing more gratifying for me than experiencing the surge when we are creating a new song, which allows my mind to focus all that hatred and dark emotions toward humanity and expressing into the physical, something tangible. I never want to lose that gift.